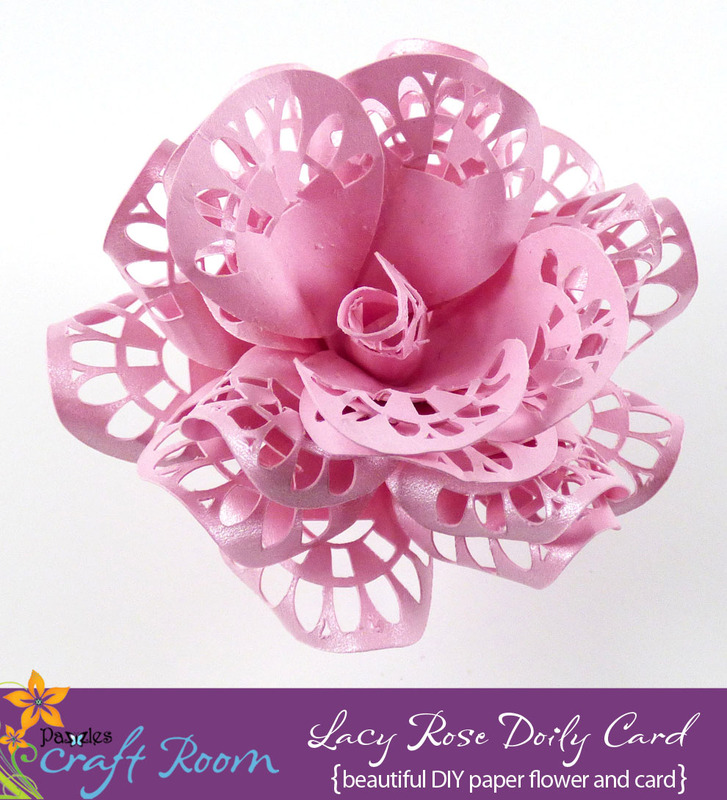 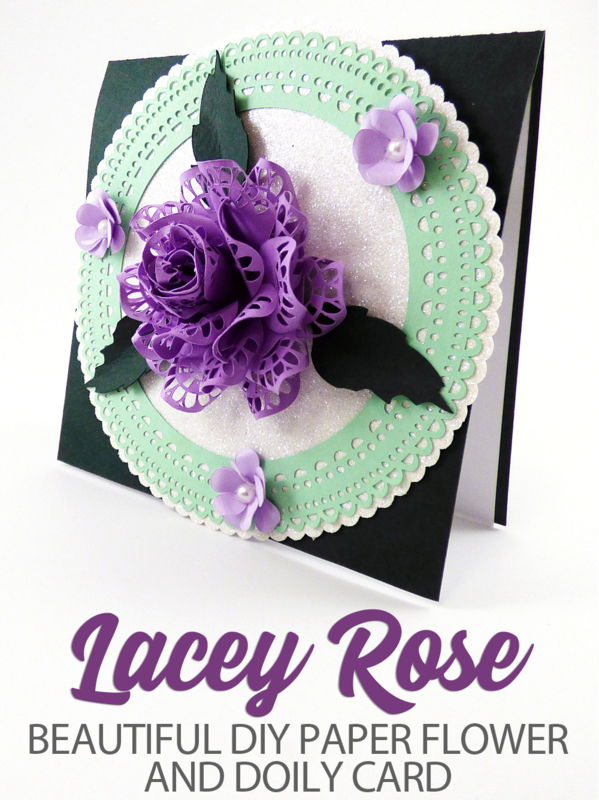 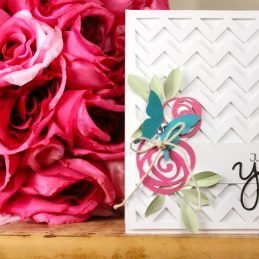 The lovely Lacy Rose and Doily on this card can double a gift topper. 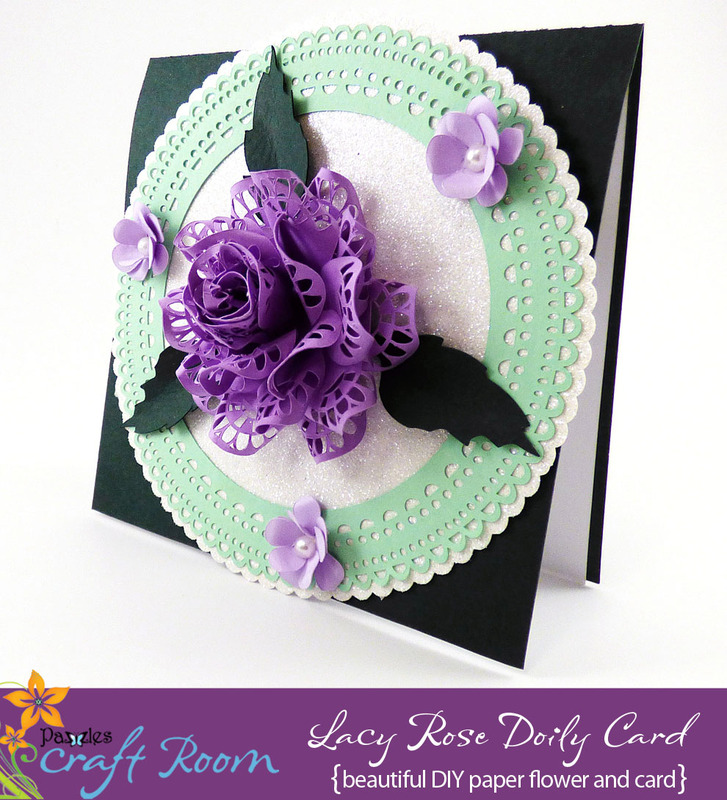 While the lacy rose design is a bit bulky for a scrapbook, the doily can be used at its current 6” size or enlarged to use in a Flip fold album or full size scrapbook. 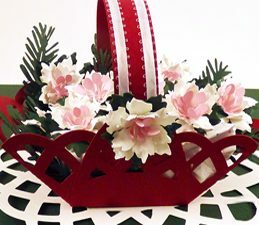 The smaller flowers are a perfect size for card or scrapbook page embellishments. 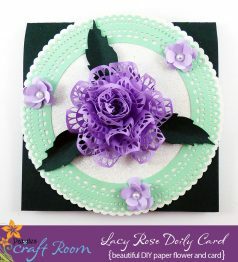 The card topper contains a large lacy rose with leaves, three smaller layered flowers, a lovely round lacy frame, and a scalloped mat for the frame. 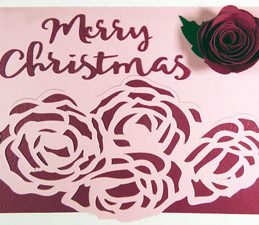 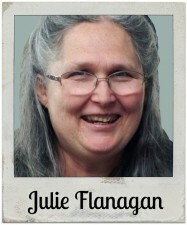 The card is a 6” square when folded at the top. 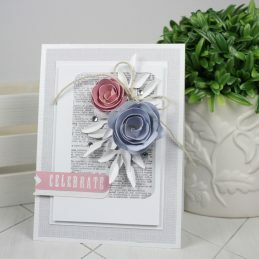 You can add your own note on the inner white card, or decorate it with embellishments and/or sentiments for any occasion.